The Criss Cross Earrings are very simple to make. You can hang any bead/charm off the end of the earring as you want. 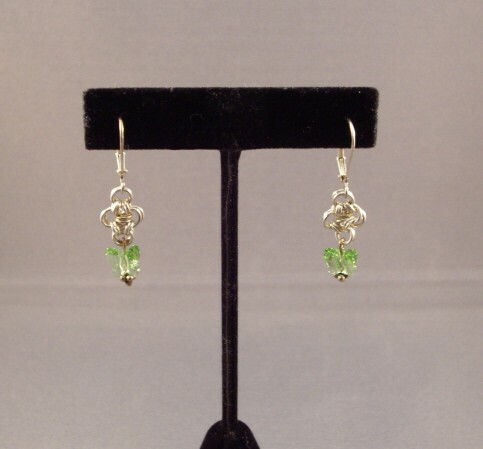 I hung a Swarovski crystal butterfly off the earrings in the picture. The crystal is not included. This is a beginner weave. Sterling silver plated or gold plated leverback earring findings are included in the kit.